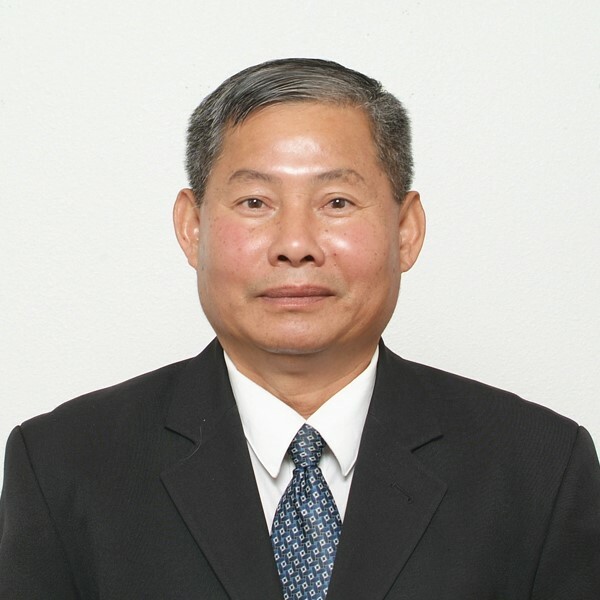 KKF | Khmers Kampuchea-Krom Federation – The Khmers Kampuchea-Krom Federation (KKF) is a peaceful organization representing millions of voiceless Khmer-Krom people living in the Mekong Delta and its surrounding regions of current day Vietnam as well as thousands living in exile. KKF is a global organization ran by volunteers from around the world. 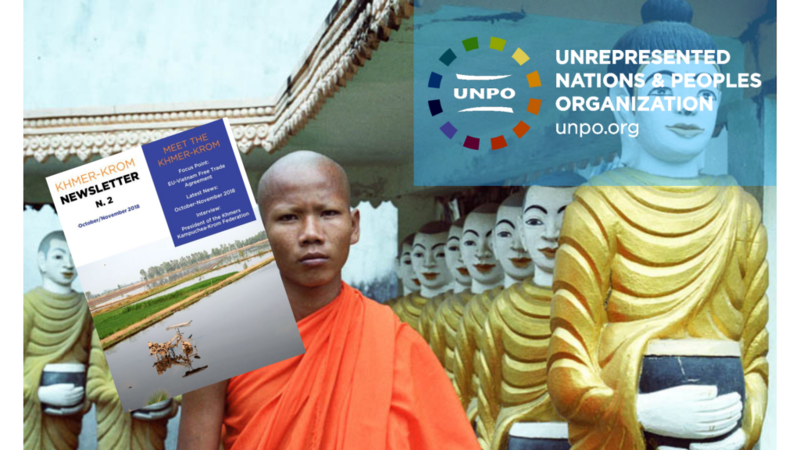 Its human rights advocated activities are funded by donations from Khmer-Krom communities and the sympathizers across the continents. During this holiday’s season and as this year is ending, on behalf of the Khmers Kampuchea-Krom Federation (KKF), I would like to wish you and your family a wonderful holiday and wish all the negativity and difficulties also end with this year. As the upcoming year of 2019 is approaching, it is now a good time for us to reflect what we had done in 2018. 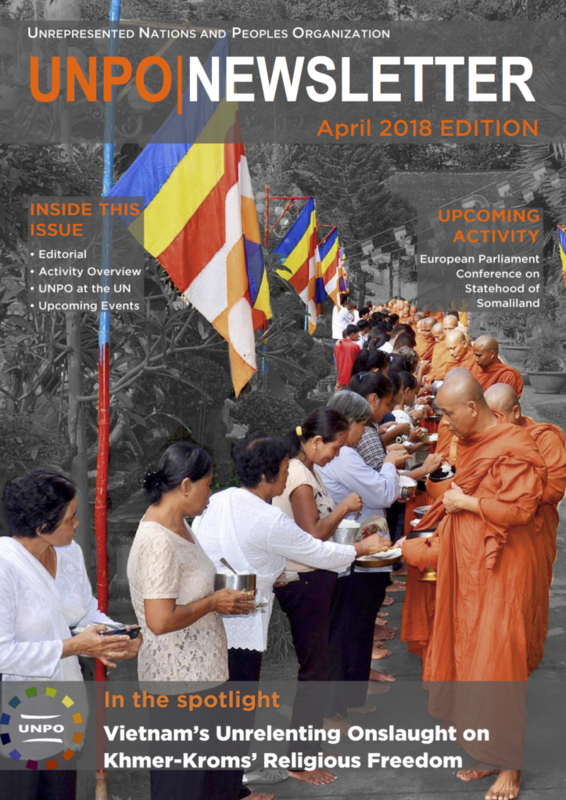 Let me begin by expressing my deep appreciation to the KKF members and supporters who have worked tirelessly around the world to show that the indigenous Khmer-Krom people in Kampuchea-Krom are still facing the human rights abuses and the religious persecutions. 2019 will be another historical checkpoint in the Khmer-Krom history. 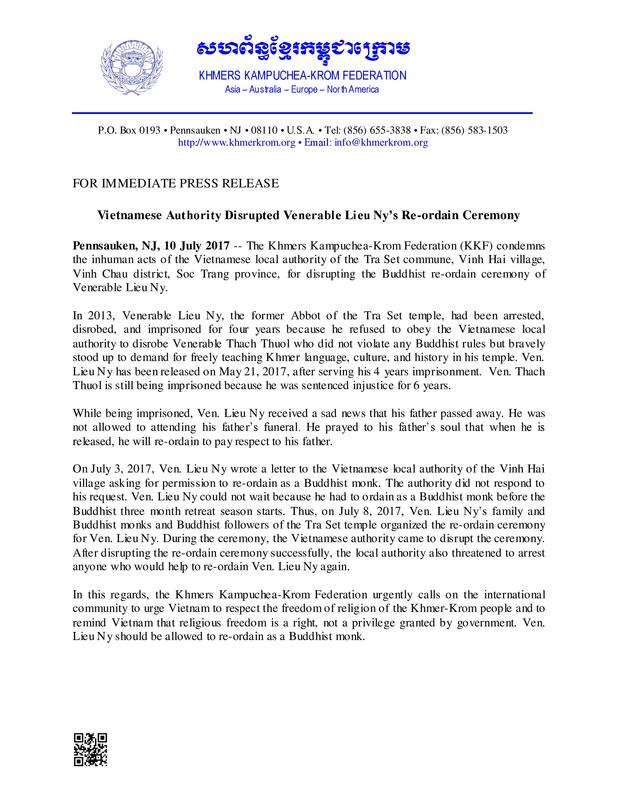 It will mark the 70th year that Kampuchea-Krom had been transferred by the French colonial power in Indochina to the government of King Bao Dai of Vietnam on June 4, 1949, without the consent of the Khmer-Krom people. 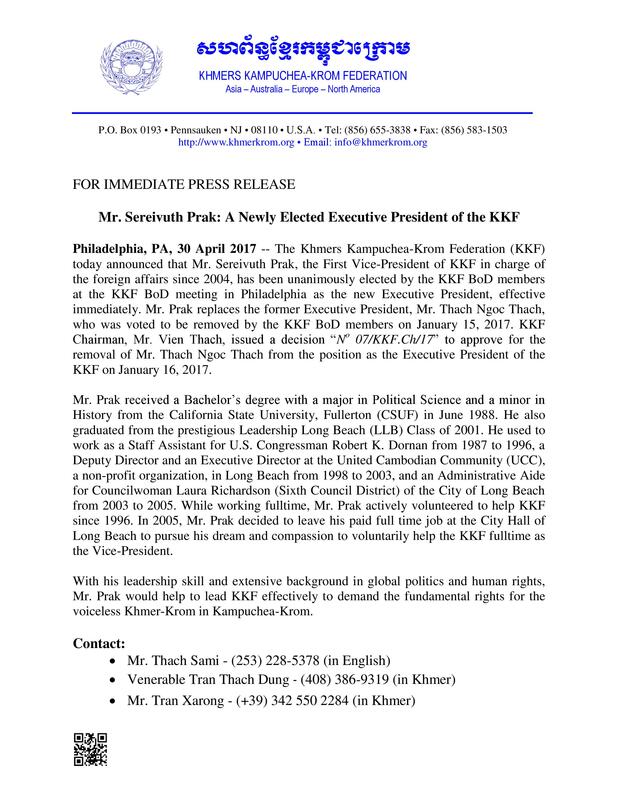 The members of KKF around the world will continue to work harder as a team to seek justice for the voiceless Khmer-Krom in Kampuchea-Krom. As the New Year dawns, May it bring new happiness, new achievements, fully loaded with happiness and brighter tomorrow. Happy New Year 2019! With the holidays upon us and the 2018 fast approaching, on behalf of the Khmers Kampuchea-Krom Federation (KKF), I would like to wish you and your family a wonderful holiday and wishing the New Year brings tremendous joy and good luck for you that take you to newer heights of success. Now that we are a few days into the New Year, it’s good to look ahead and think about what this year may bring us. But, we need to reflect what we had done in 2017. 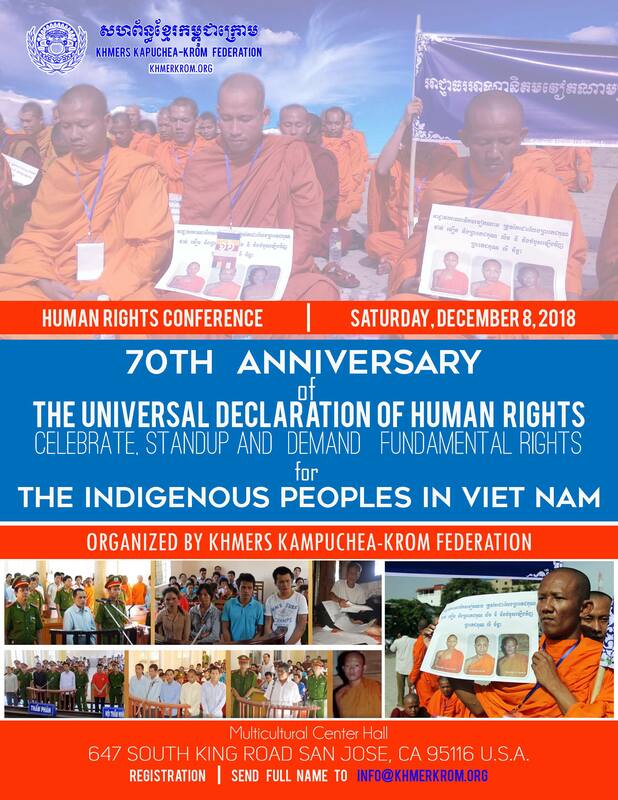 First and foremost, I would like to say thank you to our KKF members who have worked tirelessly around the world to ensure that the fundamental rights of our voiceless Khmer-Krom in Kampuchea-Krom are protected and promoted as enshrined in the United Nations Declaration on the Rights of Indigenous Peoples (UN DRIP). Even KKF had achieved a successful mission in 2017, but the New Year comes with greater challenges and obstacles. It is important for us to use our time wisely and move forward as decisively and swiftly as we can in 2018. That will only be possible with your continued support, dedication, and teamwork. We will continue operating KKF as a team under the leadership of the members of the KKF Board of Directors and most importantly to ensure that no one is above the law. Every New Year gives us the perfect chance to start something new and fresh. Working as a team in the KKF family, we will continue to work hard together to ensure our people back home could enjoy the freedom as we are living abroad. Happy New Year 2018!